Hip flask made of stainless steel and genuine leather. Attached screw-down, hinged top. 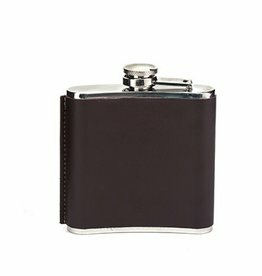 Leather Hip Flask - 6 Oz.